Mom, Ma, Grammy, Nana…whatever you and your children call them, they are rockstars! They shaped who you and your partner are today and hopefully they live close by to help with your kids and if they live far, thank goodness for airplanes and Facetime! They most certainly deserve a something special for the holidays. We always give photo books &printed framed photos for their desks and handprint ornaments every year, and while they both say “photos are all we want and need!” , we know they’d like something a little more. My mom and mother in law both have a thing for The Barefoot Contessa. But come to think of it, I know quite a few people that would love to be invited over for dinner at her barn in the Hamptons (myself included…are you listening Ina?!) All of her cookbooks are fabulous and are worth picking up! I own a few of them and Ina has yet to let me down in the kitchen. Her newest, Cooking For Jeffrey, is bound to be another winner. Its “filled with the recipes Jeffrey and their friends request most often as well as charming stories from Ina and Jeffrey’s many years together.” (48 years! woohoo!) . Tie a set of these narrow measuring spoons on top to make measuring spices a little bit easier because they can actually fit inside a spice jar (genius!). An apron or fresh dish towels are also nice additions! There’s a reason why Barefoot Dreams Cozy Chic collection has made Oprahs Favorite Things list (multiple times, including this year!) and why celebs love them….It’s like wearing a cloud! I am partial to their robes but the adult throw blanket is super cozy too (and less awkward if you curl up in it while visiting their house) Your mom and mother in law may never want to get dressed again after wrapping themselves in this luxurious gift! Cheers! 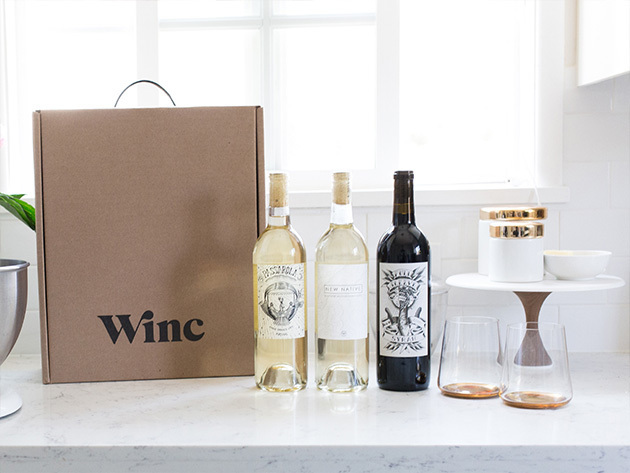 A wine subscription box is really the gift that keeps on giving. Really, whats better than wine delivered to your front door? Click over and grab a gift certificate to Winc (formally Club W). Afterall, she will need wine to pair with all the Ina Garten recipes she will be making or perhaps wine to sip on while she lounges in her new bathrobe 😉 As seen on Forbes, Today, New York Times, Redbook and more, Winc is a tried and true wine delivery that delivers wines specifically chosen to match your palate, right to your front door. (you may want to add this to your own wish list!). Pick up a wine aerator and tie the gift card to Winc on top!